Sometimes photographers like to try new techniques. 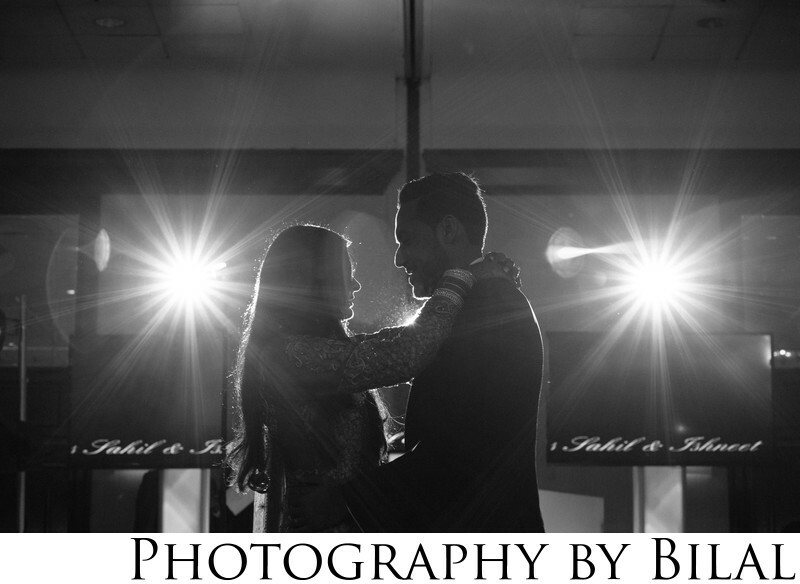 That's exactly what was done here, two flashes were placed behind the couple as the only light source, and we shot at a higher aperture to create the starburst from the flashes. Sometimes you just have to experiment. This image was shot at the Westin Princeton. If you're considering a venue in this area, the Westin is definitely one of the best.